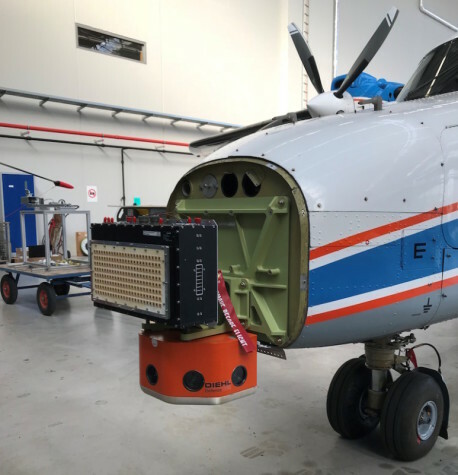 ULM, Germany --- The sensor solutions provider Hensoldt has successfully concluded flight tests with its collision avoidance radar system for UAVs. This sensor is intended to improve safety in both military and civilian air traffic. The detect-and-avoid radar system uses state-of-the-art AESA technology (Active Electronically Scanned Array), which allows several detection tasks to be carried out at the same time and enables objects to be detected extremely fast. It replaces the pilot's visual assessment of the situation. Thanks to its excellent detection capabilities, the multifunction radar is equally suitable for both military and civilian UAVs, e.g. for the delivery of cargo. A second series of flight tests is planned for the coming year. Hensoldt is one of the world's leading radar manufacturers and operates one of Europe's largest cleanroom production facilities at its Ulm site in order to produce the radio-frequency components required for AESA equipment. The company's radar systems and radar components are used on board aircraft, satellites, ships and in ground stations, including the Eurofighter combat aircraft, the TanDEM-X satellites, and the German Navy's frigates.